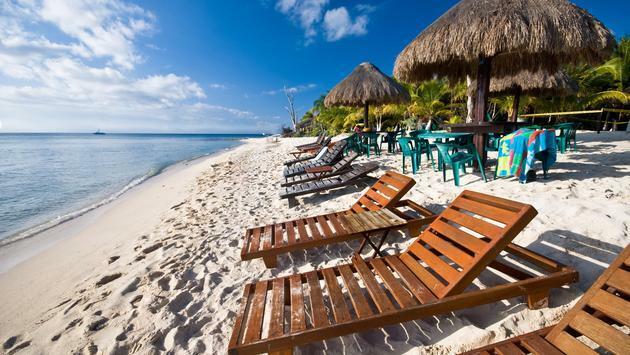 Cozumel is an island located in the Mexican Caribbean right off the coast of Riviera Maya. Many people take the ferry over from Playa del Carmen or visit for a day off their cruise ship. This destination is full of fun things to do, so keep it in mind when scheduling your next getaway. If you find yourself planning to spend a few nights or a full week vacation on the island, check out these resorts to stay at. This hotel by El Cid Resorts is located three miles from the city of San Miguel and only a short six miles from the airport. It offers several fine dining restaurants, spacious accommodations and plenty of activities for the whole family to enjoy. Barcelo Hotel Group's Occidental Cozumel is a great spot to stay at on Cozumel. There are endless activities available including kayaking, sailing, snorkeling and of course diving. With three pools, there is always plenty of space to relax with loved ones. Travelers looking for a laidback adult-only retreat will find it at Secrets Aura Cozumel by AMResorts. This property is perfect for honeymoons, anniversaries and even weddings. Enjoy complete relaxation while indulging in gourmet food and drinks.